Observed along lower Camp Creek, Maricopa Co., Arizona, USA. Oct. 2008. It is taking nectar from flowers of Baccharis sergiloides (Asteraceae). 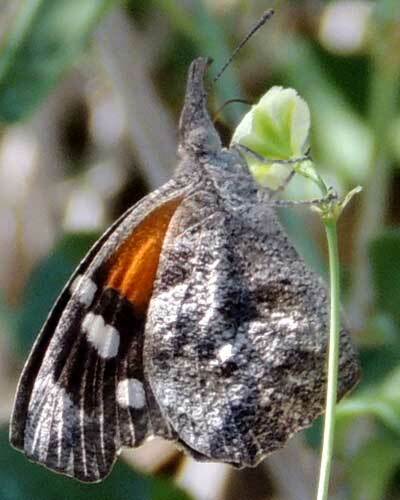 The caterpillars of Snout Butterflies use Desert Hackberry (Celtis ehrenbergiana) in the Arizona Sonoran Desert and are expectedly common like the plant. However, by late summer and fall the populations of this small to medium sized butterfly can become very high due, in part, to massive migrations from Sonora, Mexico, where Desert Hackberry is locally abundant. Snout Butterflies are so named for the enlarged labial palps, disposed on either side of the coiled proboscis on the head. 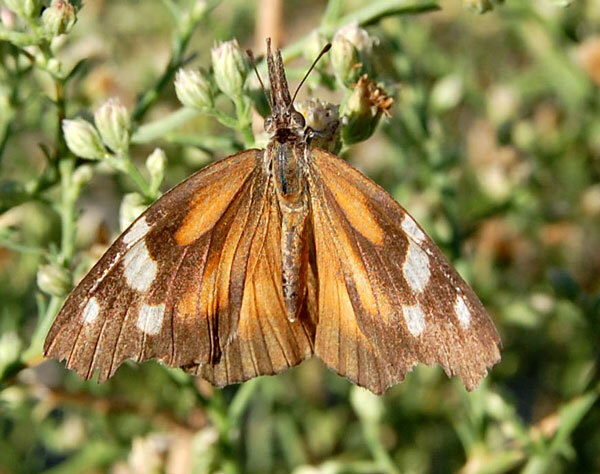 Readily drawn to nectar sources, these butterflies are easily observed at flowers of various composites, especially Seep Baccharis (Baccharis salicifolia). Although most abundant in late summer, they can be seen most any month of the year. When perched the wings are normally held vertically over the dorsum revealing the pattern on the underside of the wings as shown below. This one is taking nectar at flowers of Climbing Wortclub (Boerhavia scandens).